MORE INFO: My artwork tends to be more influenced by Liam than Nat Jones' work, as you can tell. Nat is a great artist, but I think his representation of Covenant doesn't sell him as a Hellspawn. 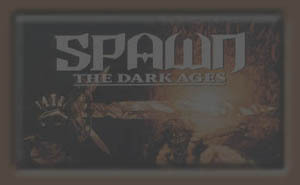 Liam's version, however, gives the whole Spawn concept diversity. Not all Spawns have to look like a maskless Al Simmons.